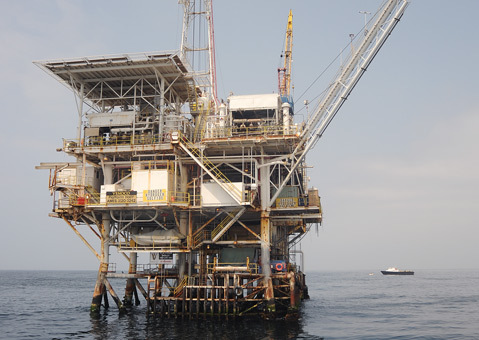 Venoco attributes this year's revenue loss more to the sale of its West Montalvo Oil Field in Oxnard than the continued shut down at Platform Holly. Venoco — the smallest oil company by far affected by the Refugio Oil Spill —reported earlier this month a net loss of $203.3 million for the third quarter of this year compared to a $39.5 million net loss during the third quarter last year. The Denver-based company, which has regional offices in Carpinteria, made less revenue last quarter this year — $11.2 million — than it did in the same time period in 2014 — $57.9 million. This drop, the release stated, is primarily because it sold its Oxnard facility — the West Montalvo Oil Field — for $200 million last year to pay down significant debt and is also due to a drop in oil prices. Decreased production after the Refugio Oil Spill shut down production at Platform Holly, which also contributed to the decrease. The price of oil per barrel produced was $42 in the third quarter this year compared to $49 in the second, according to the release. During the third quarter in 2014, the oil price per barrel was $88, said the release. “Year-over-year production has been significantly impacted by the West Montalvo sale and the continued shut down at Platform Holly. However, production from our other assets — particularly at the Sockeye field — is above the original forecast for 2015,” Venoco CEO Mark DePuy said in a statement. In the third quarter this year, production was 2,849 barrels per day, a 37 percent decrease from 4,554 in the second quarter of 2015. During the third quarter in 2014 — before West Montalvo was shut down — Venoco was pumping 7,344 barrels per day.